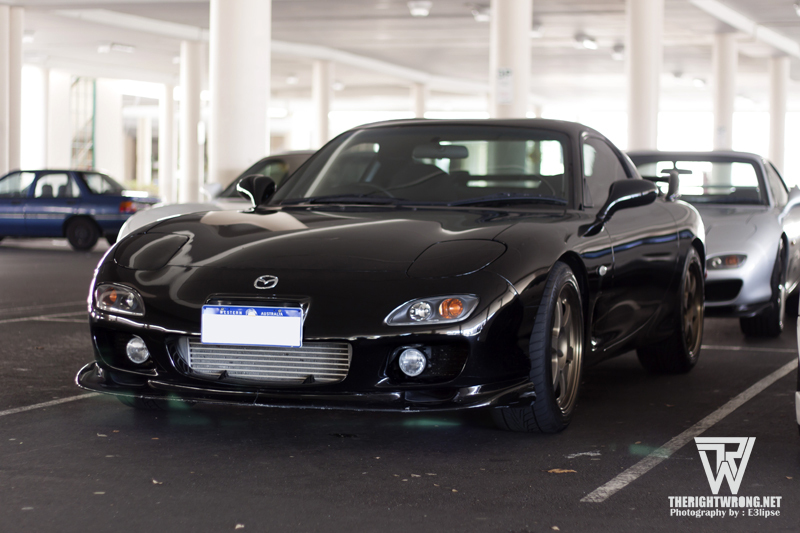 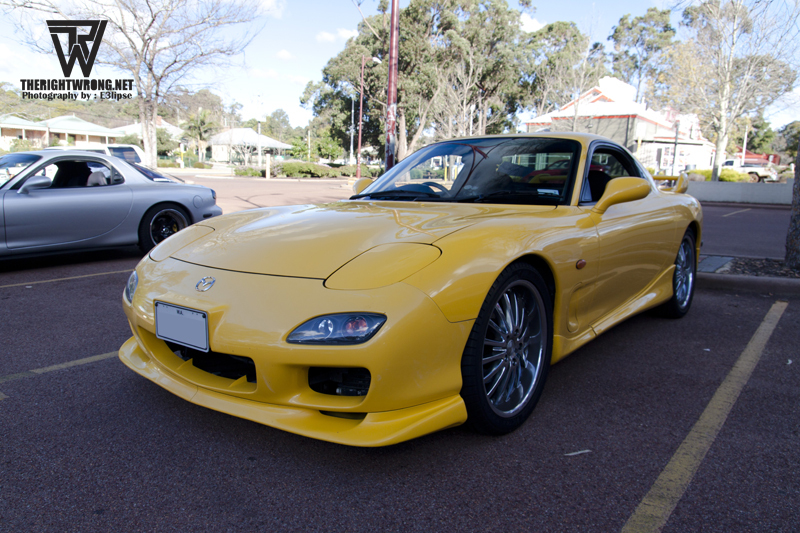 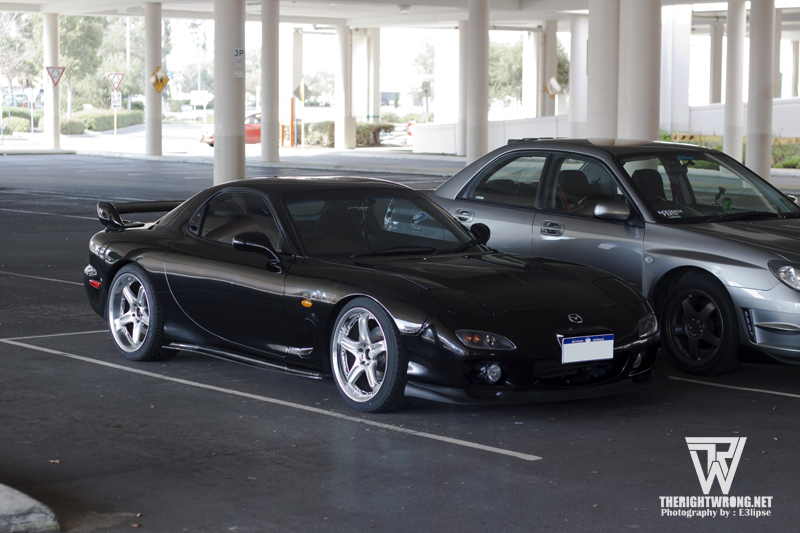 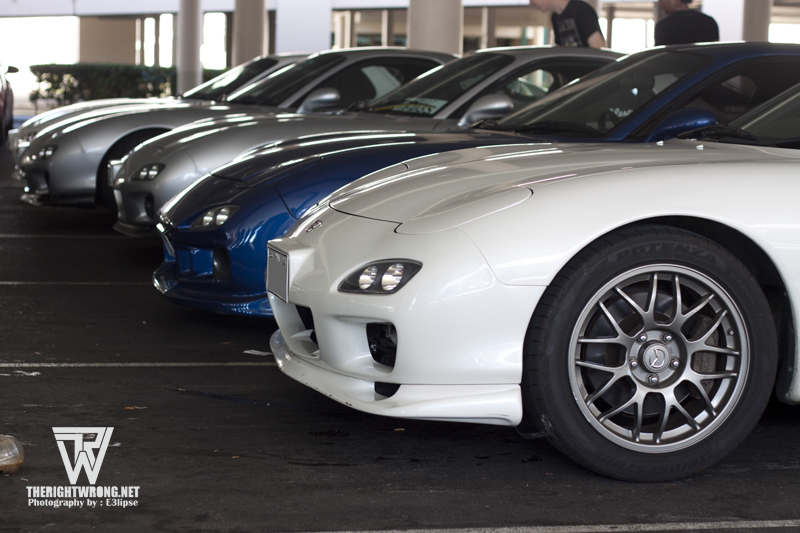 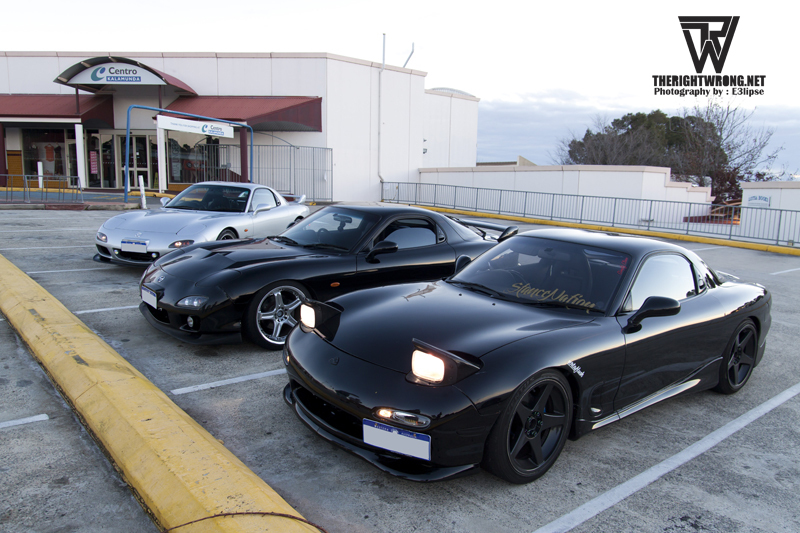 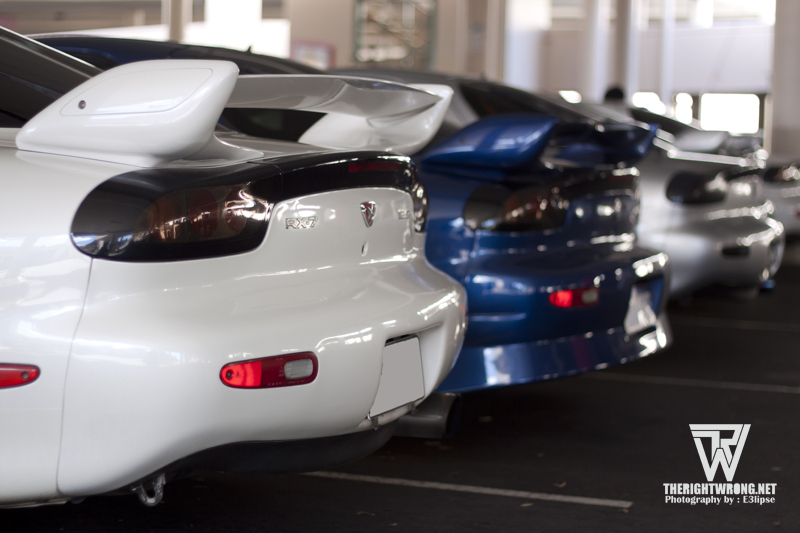 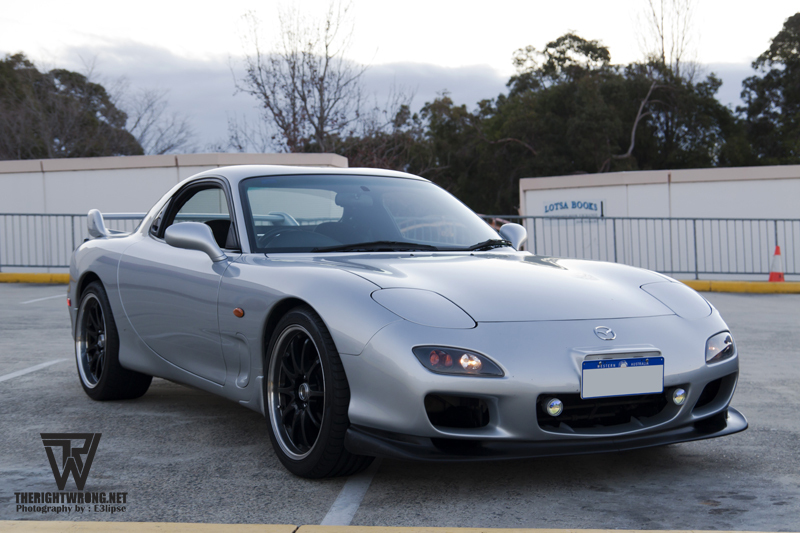 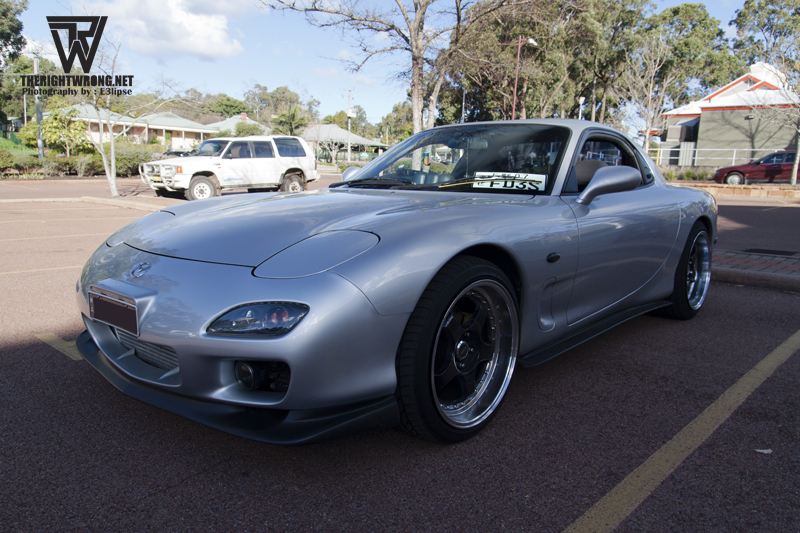 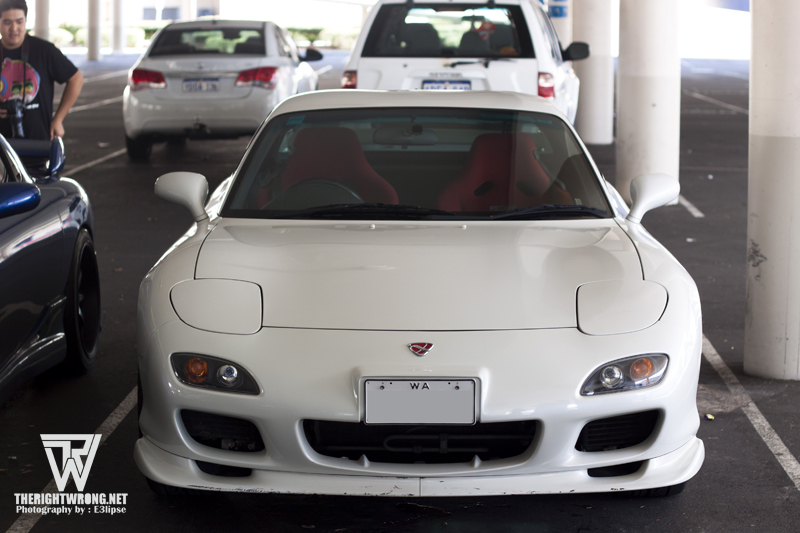 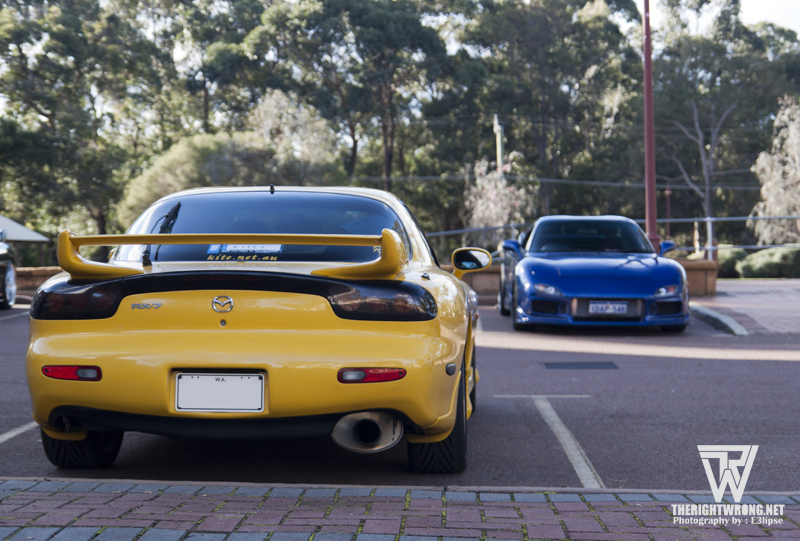 Compared to other imports in Australia (Or at least Western Australia), the Mazda RX7 FD3S is not as common as the Nissan Skyline and it’s rare to see a group of FDs being together. 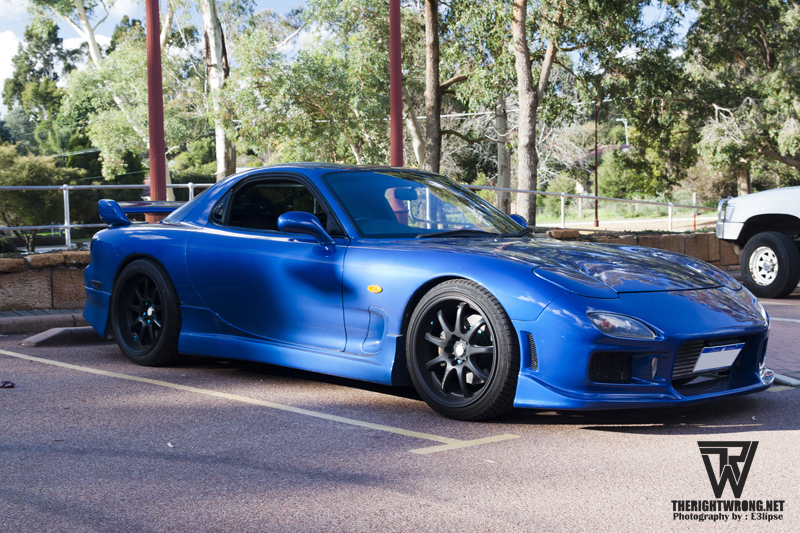 Clayton, who also heads JDMWA organized the 2nd Perth FD meet on the 5th of August with a pre-cruise meet up location at Centro Galleria before heading off for a cruise in the Hills and I was invited to take some photos. 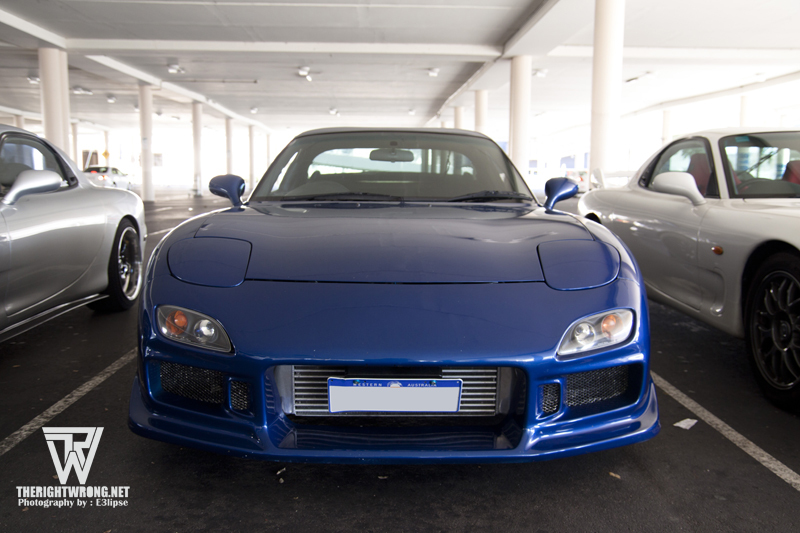 Definitely not wanting to be seen in my bunky Integra, I parked it on the upper deck of the car park and hopped into the Blue RX7. 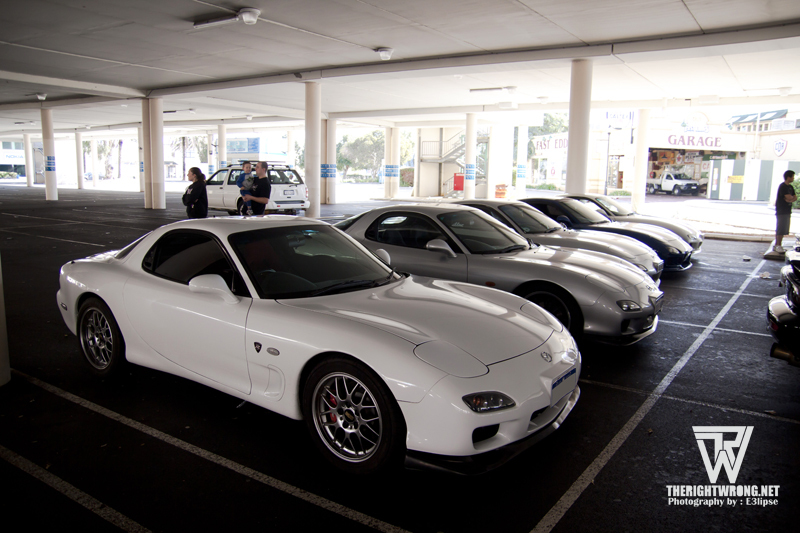 Not a force to be messed with coupled with the fact that I sprained my neck taking part in a ‘Amazing Race’ event the day before. 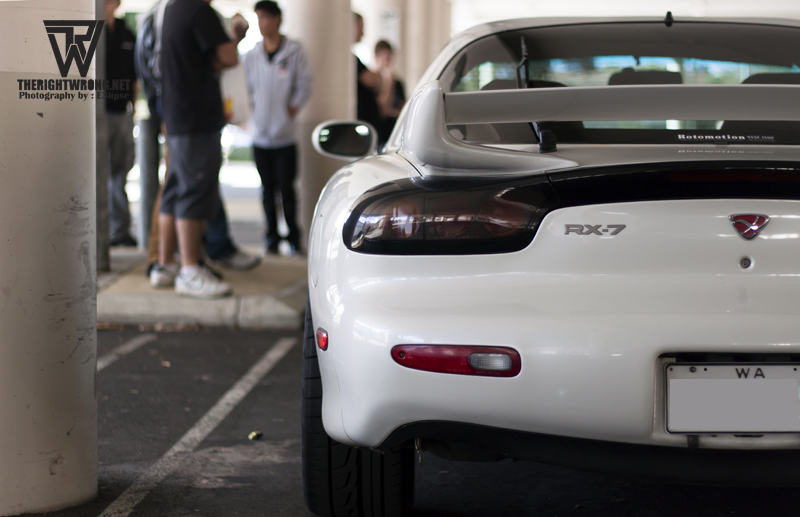 I was grimacing each time he left the lights. 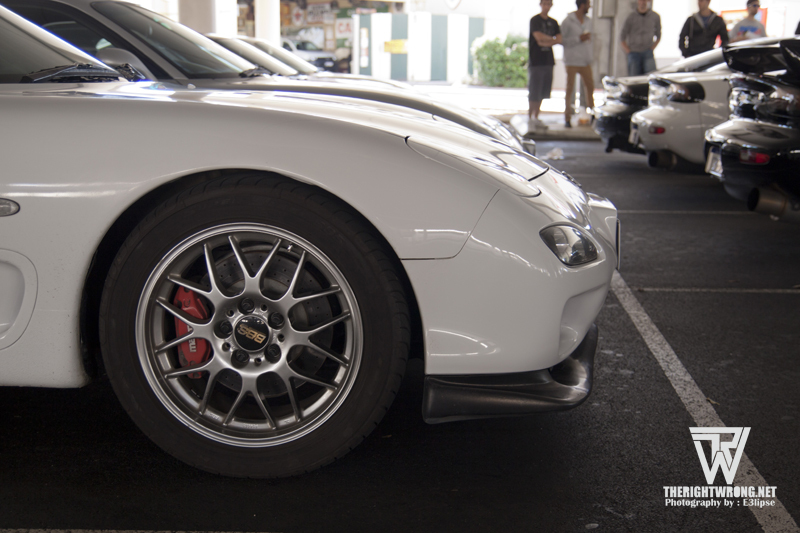 Ordinarily, I would enjoy that turbo boost and the jerk from the gearshifts but I was trying hard not to further aggravate that annoying sprain. 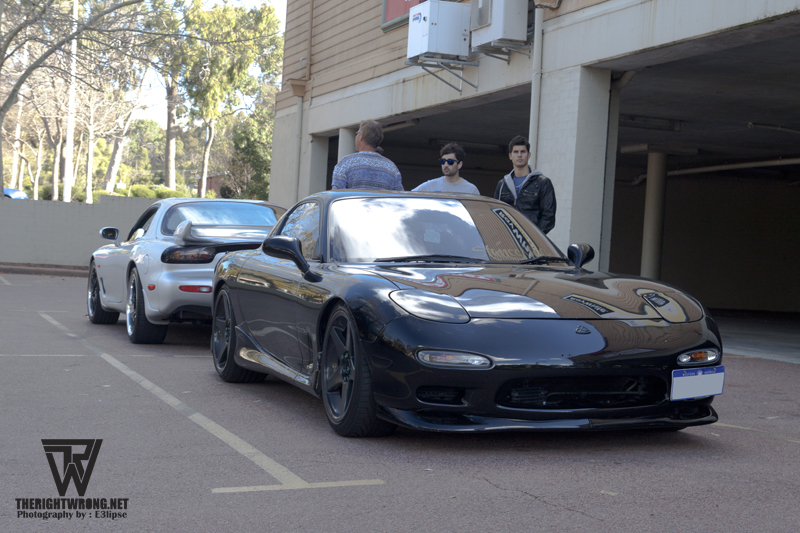 Stopping off at a car park somewhere in Kalamunda for the first stop, the FDs moved on into the Hills. 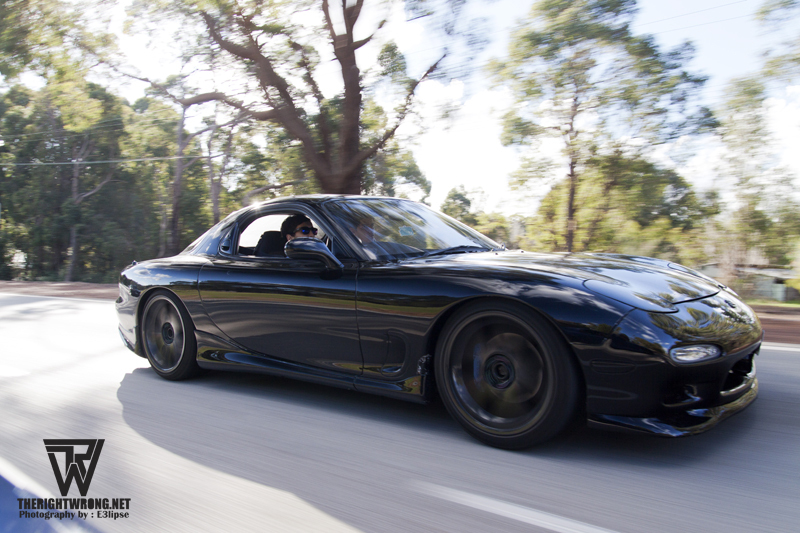 I’ve been up in the Hills with my mate driving his R34 25 GT and myself in my bunky Integra at night but the feeling of 6 twin turbo cars going through the Hills (for the record at legal speeds) is definitely a different feeling. 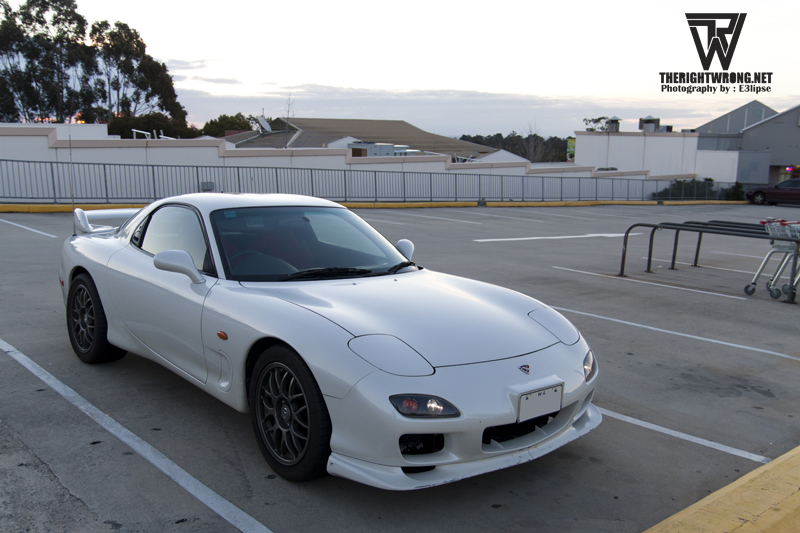 The cruise took around 2 hours before reaching the end point Centro Kalamunda just before sunset. 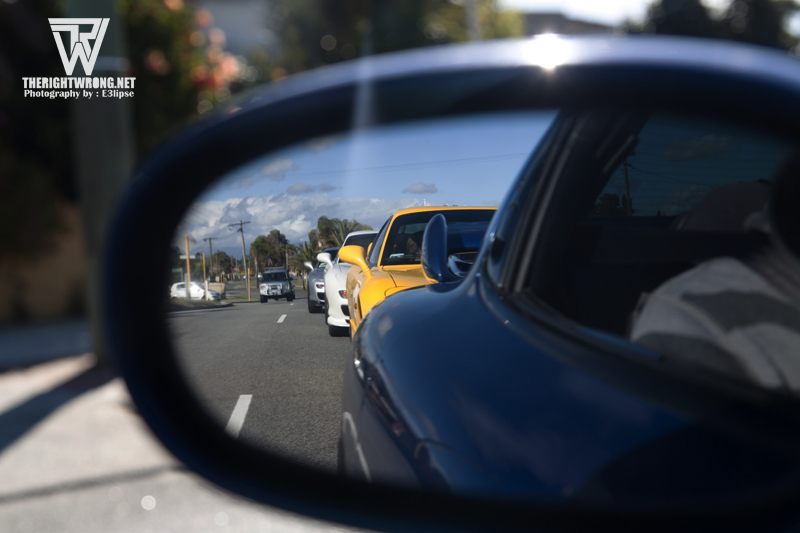 There wasn’t much of an opportunity to take photos during the cruise in the Hills as they were 2 ways, tight and windy roads with few lane markings but enjoy the photos that I’ve taken at the stop locations.